We are not responsible for user proficiency with the software. 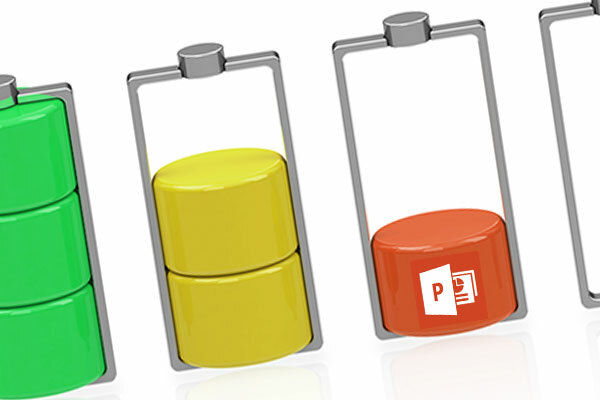 Do not be intimidated by PowerPoint or other software. Play and click around and you will learn the best ways to edit graphics. Below are some helpful tips and tricks for editing your new graphics. Scaling: To scale your graphic, group all elements that you want to scale then grab a corner node and drag up or down. Hold the shift key to keep for uniform (proportional) scaling. Text will need to be sized up if not within a table. Text scales within tables only. Most graphics are resolution independent and can be scaled as large or as small as needed. Some graphic elements use semi-transparent white boxes to add depth and special lighting effects. Either delete these elements or resize or reshape (under the “Format” tab choose “Insert Shape/Edit Shape/Edit Points”) as needed to conform to any corresponding graphic elements. Grouping: Group objects for ease of use. Tables will not group with other objects. Some graphic elements use semi-transparent white boxes to add depth and special lighting effects. Either delete these elements or resize or reshape (under the “Format” tab choose “Insert Shape/Edit Shape/Edit Points”) as needed to conform with any corresponding graphic elements. Color: All graphic elements except photographs can be colored as needed. Note that most graphic elements use gradients. To edit, choose “Format/Shape Fill/Gradient/More Gradients.” (All graphics are formatted for RGB.) Some graphic elements use semi-transparent white boxes to add depth and special lighting effects. Either delete these elements or resize or reshape (under the “Format” tab choose “Insert Shape/Edit Shape/Edit Points”) as needed to conform with any corresponding graphic elements. Lines: To change the length of a line we recommend using the “Size” tool under the “Format” tab. Choose either height or width to safely scale your lines.